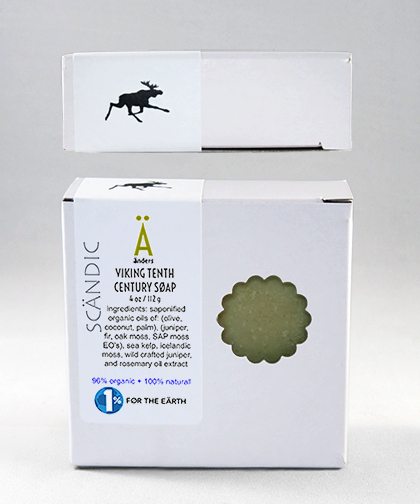 A favorite soap among men, this soap recipe was taken from a Viking recipe logged in the 10th century when the Viking&apos;s settled in Iceland. We blended ground Icelandic Moss, wild crafted ground Juniper, along with the essential oil blend of: Juniper, Fir, Oak Moss and SAP Moss. This soap will make you feel like “Ragnar”. Very Viking!